Quanell X decided that in order to be the fair man, he considers himself to be, that he would take the police “Use of Force” test and he says it opened his eyes. 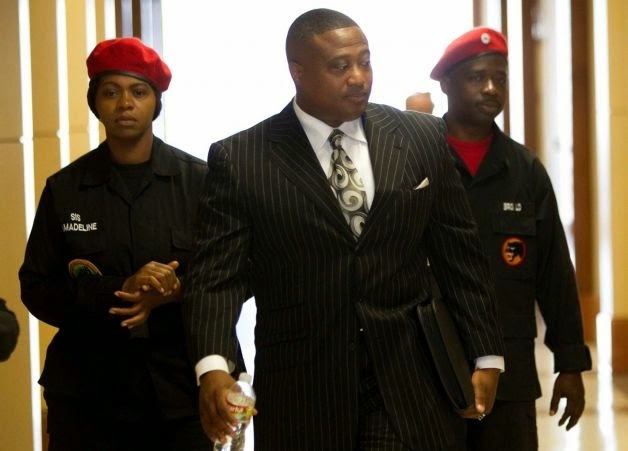 Quanell X, who is considered a firebrand and who is a member of the New Black Panthers in Houston and is also a former member of the Nation of Islam, faced two tests during the demonstration. In the first, there was a man holding a baby and pacing back and forth nervously and appeared to be having mental problems. Quanell X tried to talk to the man and diffuse the situation, when suddenly the man reached for something and lunged at him. Quanell fired his prop gun. He later said that he had not even seen the knife and that he would have fired even if his hand was empty. In that split second, where it’s a matter of life or death, he felt that he had to shoot. The second test may have been the most significant as it answered a question he had asked many times after a shooting. Quanell X, who was a vocal critic of the police officers in Ferguson and Texas, had his eyes opened. “I walked away with a few things. Many of these officers do not have adequate training and they should not be patrolling by themselves. Having backup would stop them from being skittish and firing their weapon. More police critics should take the test. Sheriff Joe offered the test to Rev Al Sharpton, who tucked his tail between his legs and ran like the coward he is.